Personnel safety netting from US Netting has been designed and tested to provide protection to workers from falls up to 30 feet. This safety netting also could be used as a heavy-duty debris containment net when the polyethylene mesh is added. 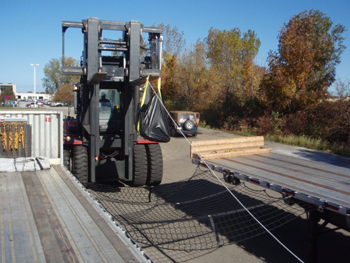 Our personnel safety nets have been tested to meet or exceed ANSI A10.11 (dated 2010) and meet OSHA 1926.105 requirements. 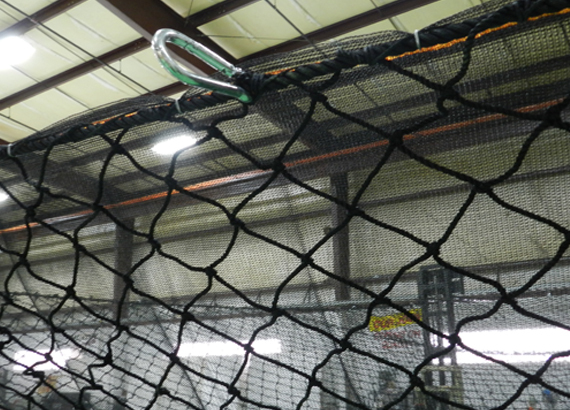 Each net is manufactured in the USA from Type 6, 6 nylon that is UV inhibited to prevent degradation and bordered with a 5,000-pound minimum test synthetic rope that comes with hooks spaced every four feet on center. All the nets include a tag with its own serial number, manufacturing date, composition, and prototype test date. Each net includes tag with serial number, MFG Date, composition, and prototype test date. These nets are constructed by hand in the USA. Get the best of both fall protection netting and debris netting with our personnel and debris combo netting. Our netting is street-safe and business-smart. 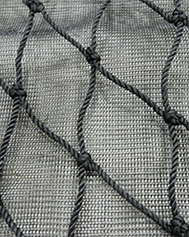 Shown at left is a combination of fall safety netting and 1/16-inch, high-density knit polyethylene mesh that is UV-treated. Netting will not unravel and stays flexible even in the coldest weather. All of our personnel netting is bordered with 5,000-pound minimum-test synthetic rope with attachment hooks four feet on center. Call 1-800-331-2973 or fill out our RFQ form for custom sizes, prices and delivery information! If you are interested in testing fall protection nets to OSHA standards you will need to contact our sales engineers at 1-800-331-2973. 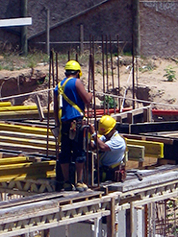 We will do our best to accommodate any application and situation. Click the buttons below to review more images/video regarding drop testing or go ahead and send us a quote request. We are always available to take calls as well.